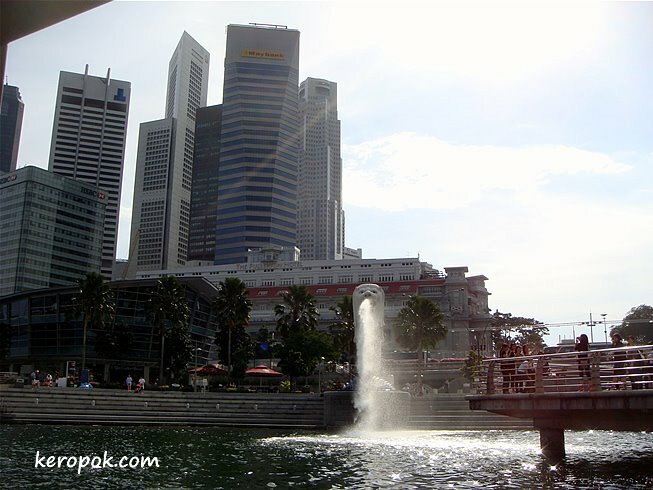 View of Merlion from the front, with the financial district behind it. Ah yes, I asked myself, where is the lion? And, it's there!